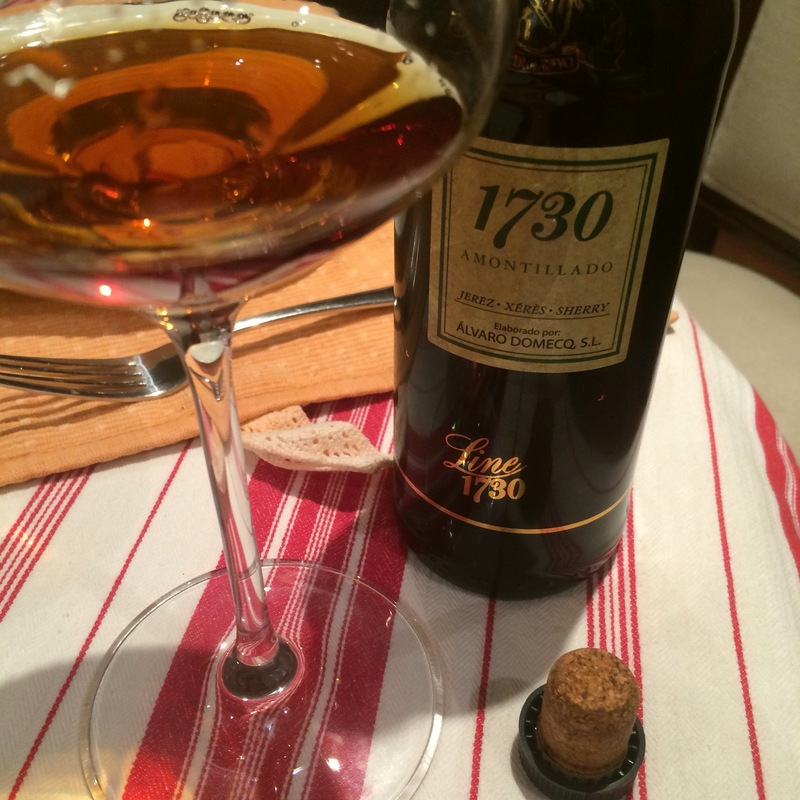 This is a VORS (30 year old) amontillado by bodegas Alvaro Domecq (not the lost, lamented giant, but a scion of the family that bought the business of Pilar Aranda, a historic almacenista). I got this one so cheap I was intrigued but it turned out to be a really tasty little bottle of amontillado. Beautiful red colour – maybe not quite as crystal clear as some. On the nose it is like barrel aged toffee – little bit of that gasoline buzz in the background. Then on the palate it isn’t all that full but there is acidity, toffee and burnt flavours. Very pleasant drop all told.